IGF 2019 Inspirations: 2016 Audience Award winner Undertale! 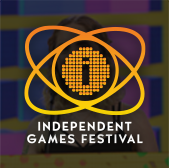 Head's up, game devs: Game Developers Conference organizers are still accepting submissions for the 21st annual Independent Games Festival (IGF), the longest running festival, summit and showcase of independent games! 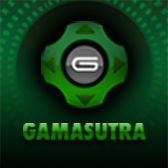 There's just a few weeks left to enter, as entries for all IGF categories are being accepted through October 1, 2018, with finalists announced in early January 2019. It can be daunting to submit your work, but whether you end up winning or not, participating in the IGF is a great way to bring some attention to your work, build camaraderie with your fellow indie devs, and partake in a major celebration of the best in indie games! In an effort to help inspire you, we've been publishing a series highlighting some previous IGF award winners and their paths to indie game dev glory. Today we'd like to continue by drawing your attention to Undertale, a Toby Fox's 2015 indie RPG with a cult following that helped it take home the Audience Award at the 2016 IGF! Undertale is a subversive and charming RPG that gives players the freedom to kill or befriend enemies, with larger repercussions and consequences that are felt throughout the larger story. 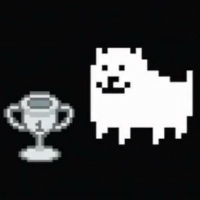 It caught on in a big way following its 2015 debut, so the Audience Award win wasn't a big surprise; what was surprising was Fox's acceptance speech: In lieu of accepting the game's Audience Award in person, Fox sent in a cute video clip of Undertale's iconic Annoying Dog character absorbing a winner's trophy as his way of saying thanks for the award. 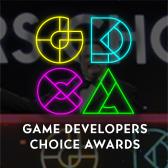 You can watch the whole thing on Twitch, where the livestreamed 2016 IGF and Game Developers Choice Awards ceremonies are archived. Look at it as inspiration: that could be you on that stage next year! From Beat Saber to Moss, don't miss all the insightful XRDC game talks!